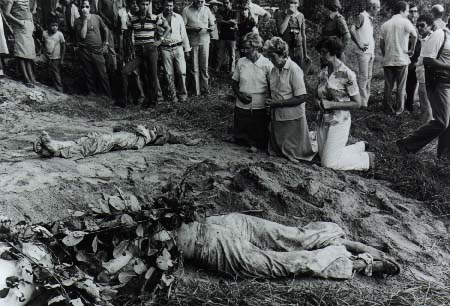 On this day in 1980, those now known as “the four churchwomen of El Salvador” were brutally raped and murdered. Their bodies were found in these shallow graves two days later. And yes, I did place the grisly photo there for a reason. A few weeks back, the New York Times published an excellent account of the story as part of their “Retro Report” series on the website. It is worth your time – 13 minutes -to watch this video. You can find “Killed in El Salvador: An American Story” here. And yes, it should be distressing to all of us – all of us – to learn or to be reminded of the involvement of the US government in this event. We have a complicated history with El Salvador during that era. The four women, Ita Ford MM, Maura Clarke MM, Dorothy Kazel OSU, and Jean Donovan lived and worked among the poor and destitute. The following words from Jean Donovan, the only lay person in the group always goes straight to my heart, particularly at this time of waiting during Advent. We have many creature comforts and conveniences, as well as distractions and demands in our lives. It is easy to look away, it is easy in fact, to never look in the first place. Hence my choice of a single photo for this post. Our Advent journey is meant to have us see it and hear it, even when – perhaps most especially when – we do not have the patience or courage to wait, to watch, to see and to hear. 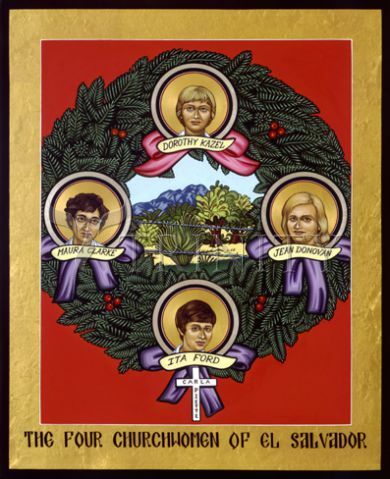 The Four Churchwomen of El Salvador, as evidenced in Jean Donovan’s words above, waited, watched, they saw and heard – and it cost them their lives. So much might not be demanded of most of us, but make no mistake, remaining anything other than present – ¡Presente! – is not an option. Ultimately, if you can’t stare at the Cross, deeply gazing at the Creche is not possible. 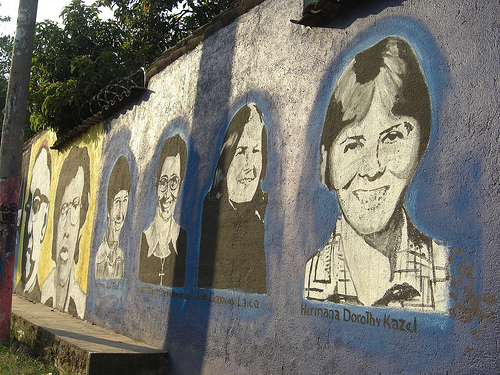 On this day in 1980, those known as the Four Church Women of El Salvador were martyred. Ursuline Sister, Dorothy Kazel, Maryknoll Sisters Maura Clarke and Ita Ford, and lay missioner, Jean Donovan ministered to the poor in El Salvador, during a most treacherous time in that land. For their efforts, uniting with the very least of God’s people, who were apparently a threat to those in power. For this they were summarily executed. The opening quotation, from Jean Donovan, sums up a powerful theme of Advent. Patience and hope in the face of the worst times. We tend to associate this kind of thing more with Lent, but make no mistake, this what Advent calls us to. Following Christ is often the most unreasonable thing we can do, yet we are called to follow him. Perhaps you will reflect on the words that Donovan left for us, reminding us to look at our conscience before we turn away from the challenging, the uncomfortable, and other difficult moments we face. Today, let our Advent prayers root us in prayerful hope, patience, and witness, a time of Holy Waiting in the darkness, knowing that the Light will come.